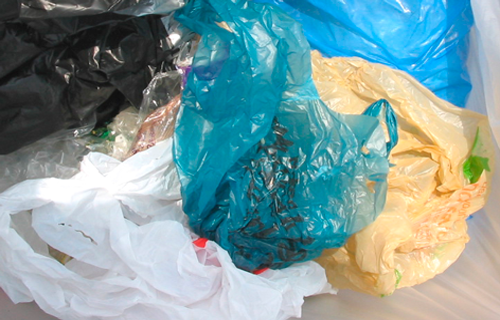 On April 28, the European Parliament gave its final approval for the previously agreed legislation amending the Packaging and Packaging Waste Directive (PPWD) to reduce the use of conventional single use plastic carrier bags. The new legislation obliges EU Member States to introduce measures that reduce the use of lightweight plastic bags by almost 50% by the end of 2019 and by 80% by the end of 2025 compared to 2010. European Bioplastics, the European association representing the bioplastics industry, welcomes the decision as it recognizes the benefits of compostable bags and paves the way for further development of EU-wide standardization and labeling of compostability for a resource efficient Europe. “We highly appreciate the strong environmental commitment of the European institutions demonstrated by these ambitious targets. The new legislation reaffirms the potential of biodegradable and compostable shopping bags to tackle the challenges of plastic bag consumption and lead to a more resource efficient Europe,” said François de Bie, Chairman of European Bioplastics. Compostable bags should be clearly marked and labeled so consumers can easily identify them as suitable for organic waste collection, which keeps these bags out of traditional plastic waste streams, according to the Association. European Bioplastics welcomes the endorsement of EN13432 in the PPWD as the standard to certify biodegradation, and the commitment to further develop EU-wide standardization of compostability and coherent labeling. Its registered “Seedling” is an internationally recognized compostability label that is connected to the EN 13432/EN 14995 standards and the certification process managed by the independent institutions DIN CERTCO and Vinçotte.